Two weeks ago I did a really hard thing - I arranged and paid for my daughters college housing. I know, I just need to get over it and accept the fact that she is at that point in her life and is ready to leave the nest. It's hard though. And, every time I think about I hear the voice of the dad in My Big Fat Greek Wedding saying "Why do you want to leave me?" It's comical, really. Truth is, she's ready and I even though I resist it, I am too. It's ok.
We've found her a great place but like most college apartments, it's going to be small and she isn't going to be able to take a lot of stuff with her. This being the case, we've been on the look out for organization things that she can take that won't take up much room. So, jump forward a bit to one day when I was roaming the aisles at Hobby Lobby and found this stuff. 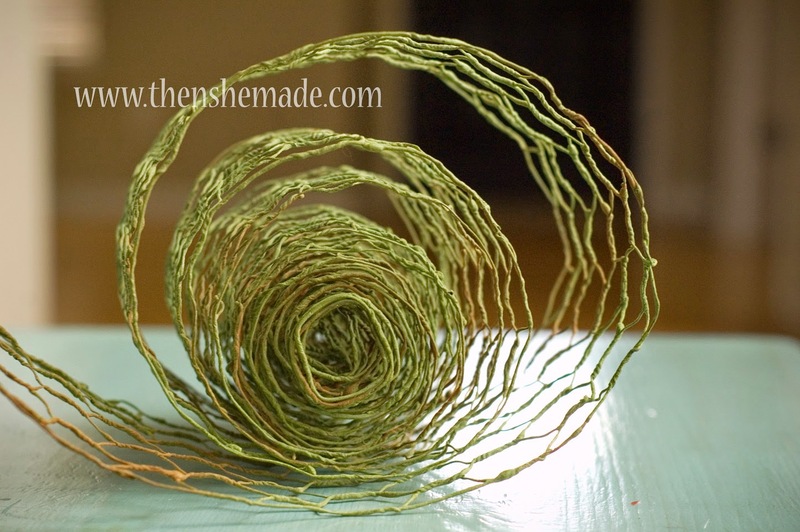 It's chicken wire ribbon - I guess that's what it is called. 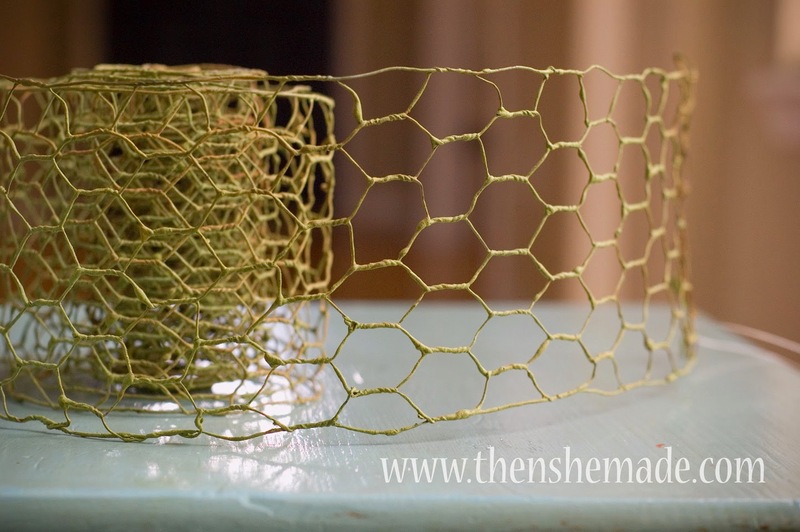 It looks like chicken wire but at the same time it's rolled up and usable just like ribbon. Cool, right?! I fell in love - it has so much potential! The first thing I made with it is a little earring holder for Miss M's college bedroom. I haven't painted it yet mostly because we haven't gotten anything else yet and we want to paint it to match. When you break down the cost, the whole thing only cost me $3.06. 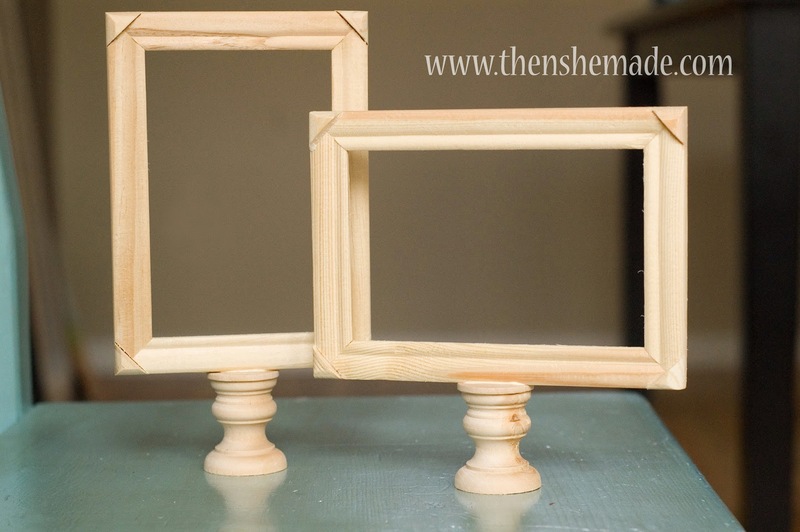 And, because you have to buy some of the items in packages, and can't just buy one thing, I had enough supplies (everything but the frames) to make 6 of these holders. 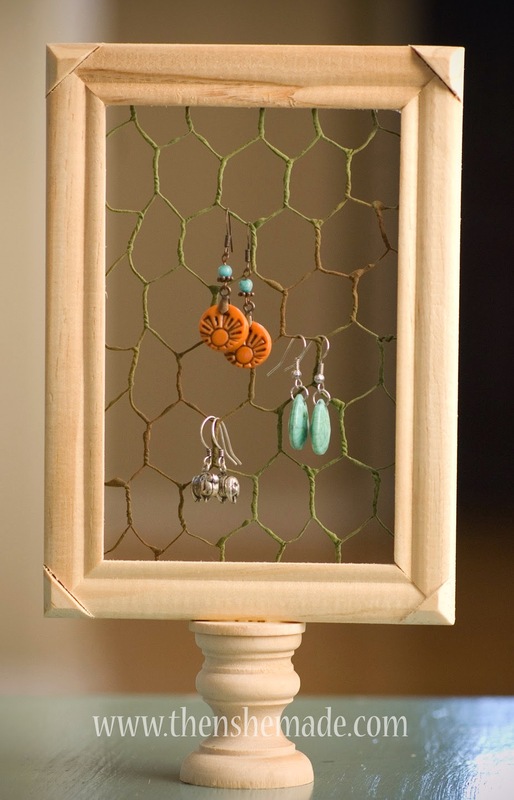 Having extra supplies means I can make them, add in a cute pair of earrings, and give them as gifts - it's a great, low cost gift idea! To start, grab your wooden nickel and your candlestick. 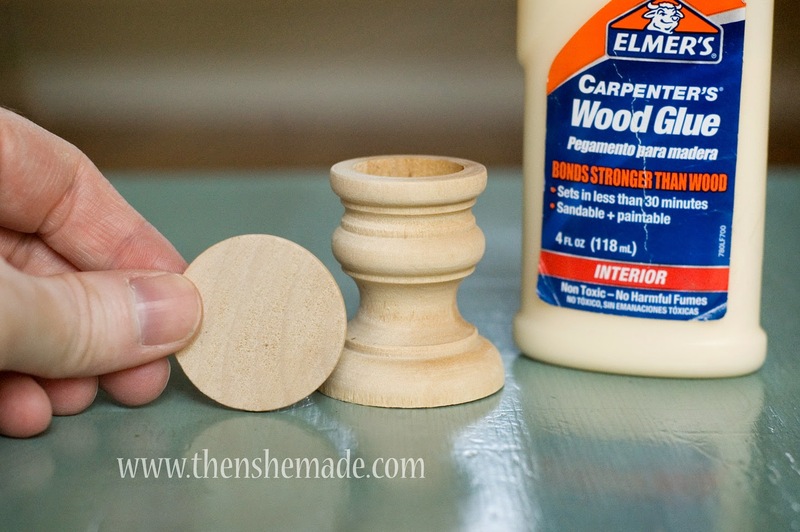 Step 1: Take your wood glue and put a good amount of glue on the rim of the candle stick. Step 2: Add the wooden nickle to the glued rim and hold in place until secure. Let dry. 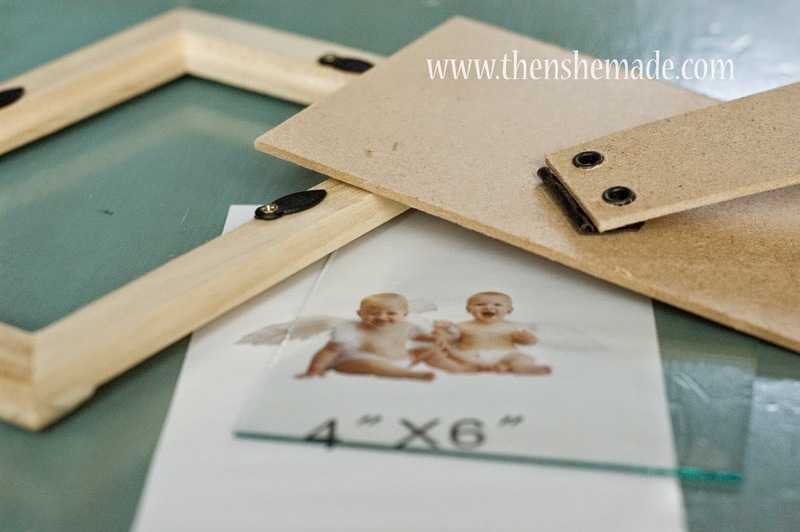 Step 3: While the glue is drying, prepare your frame. Remove the back and glass. 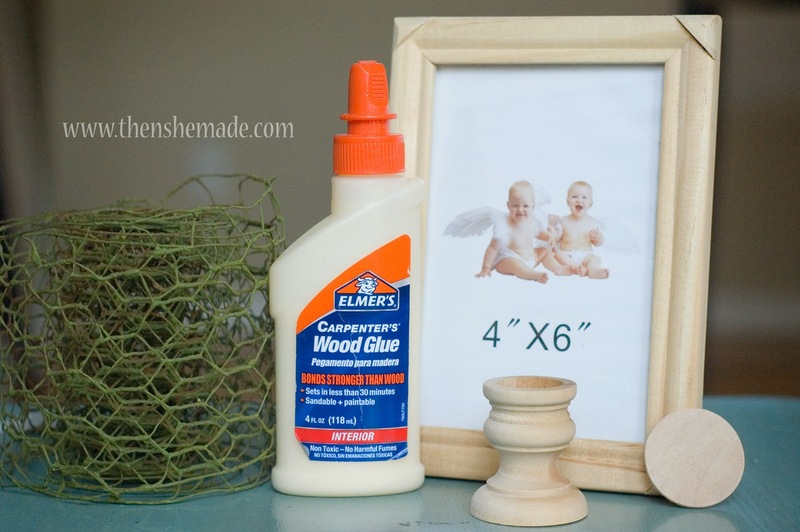 You can discard these items or save them to be used on another craft. Step 4: Take the frame and center it on top of the candle stick. 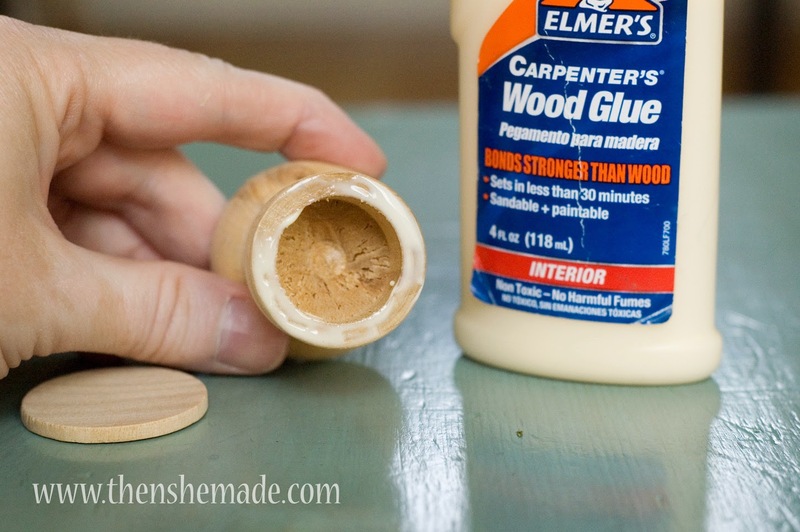 Add a small amount of glue and hold in place until secure. 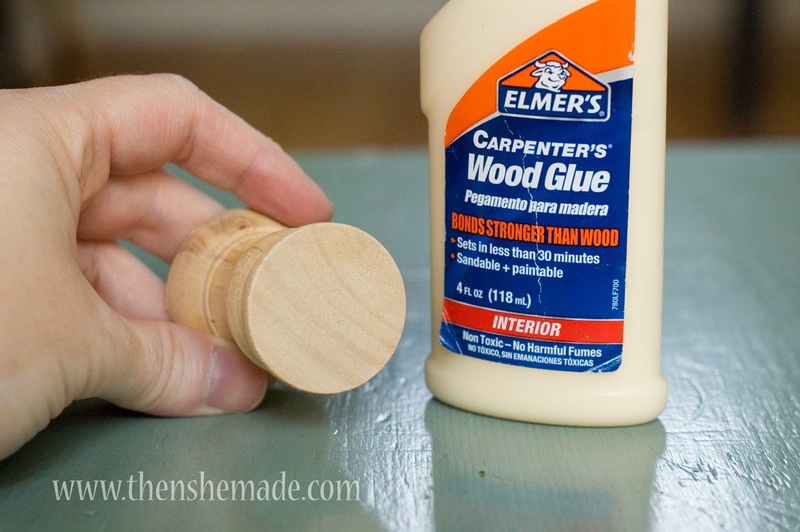 Step 5: Let glue dry completely - but when it is dry, you should have something like above. Step 6: And, I'm very sorry but I forgot to take a picture of this - add your wire to the back side of your frame. You can do this a couple of different ways: 1- you can cut it down and tuck it right into the opening. Or, 2- you can secure it in place with little finishing nails or 3 - use decorative tape to tape it down. I taped mine. I taped it because if I ever wanted to remove the wire and use it as an actual frame, it would be very easy to just remove the tape and wire and add in a photo instead. But there you have it! 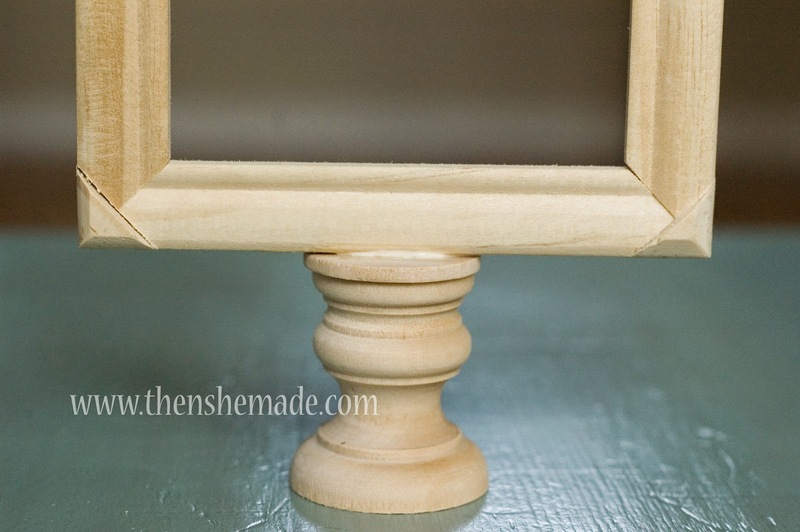 A cute little framed pedestal earring holder that can sit on a dresser, window sill, bathroom counter or other small space. Now, to figure out what color to paint it? Hmmm... I guess Miss M is going to need to make that decision. Also, just a reminder - my Etsy shop is still open. 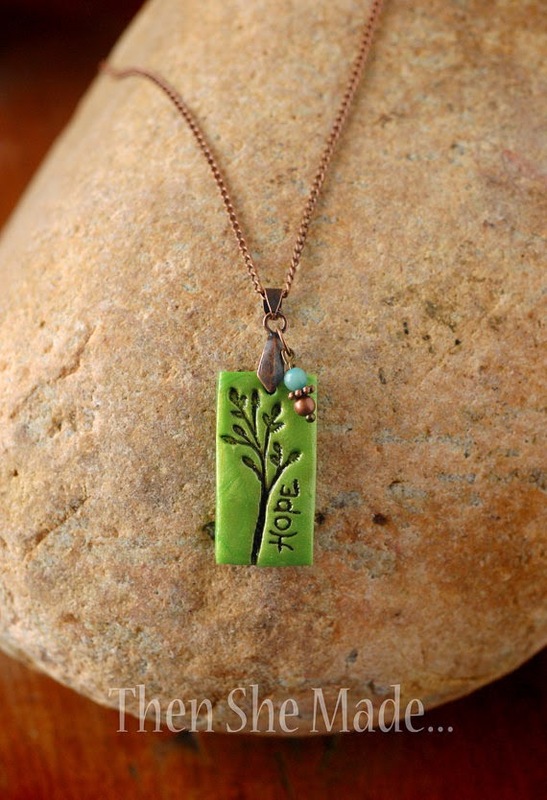 I've had several request to restock my Hope necklace and have 5 currently listed. Any purchase over $16 qualifies for a discount - use the code MISSM at check out and save 15%!